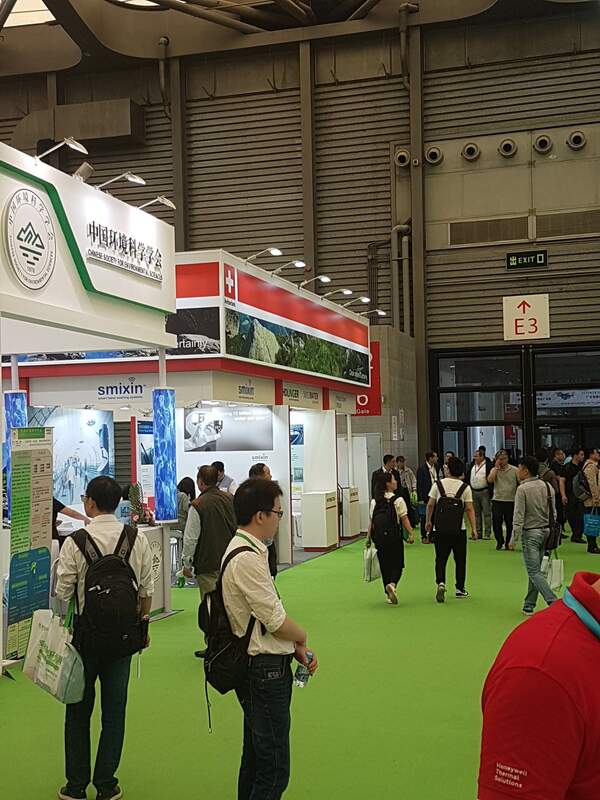 IE expo China took place from 3-5 May, 2018 at Shanghai New International Expo Centre. 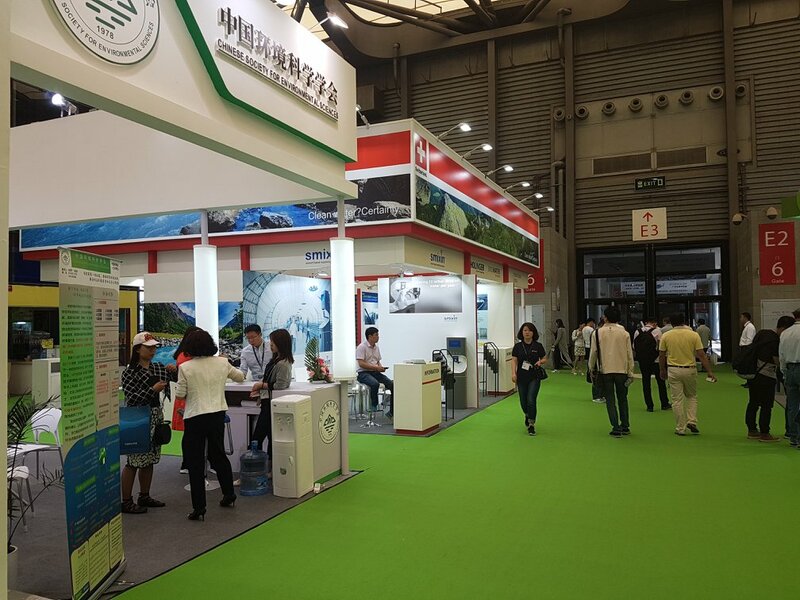 There was a tremendous increase of 21% in visitor numbers compared to 2017 to a total of 66'580 trade visitors from 59 countries. 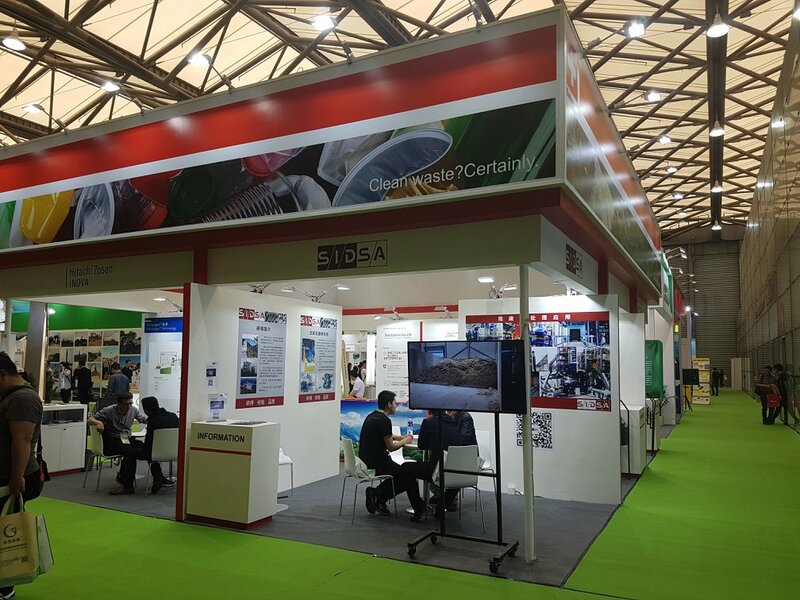 On a floor area of 128'000m², 1762 exhibiting companies presented their innovative environmental technologies and offered their solutions for waste, water, air and soil. 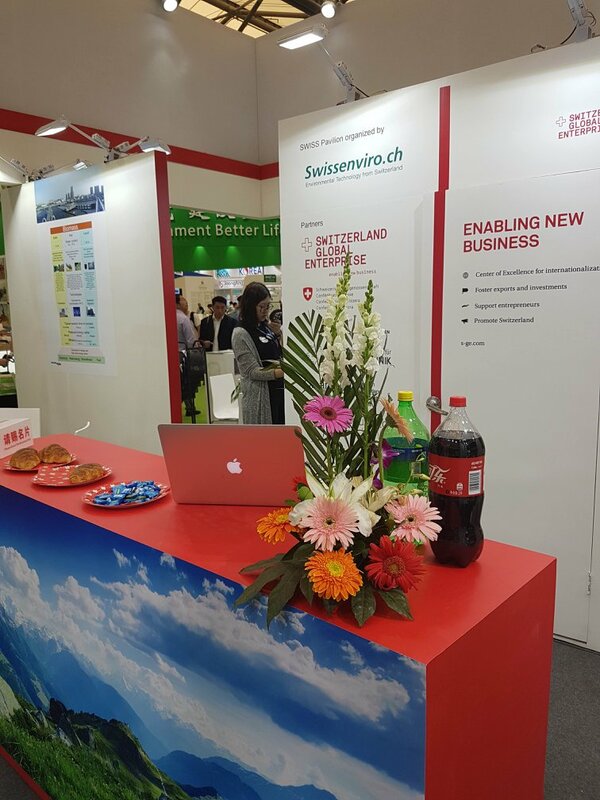 The Swiss Pavilion exhibitors especially praised the function of the fair as a platform for meeting and visiting existing business partners in China and also for further networking. 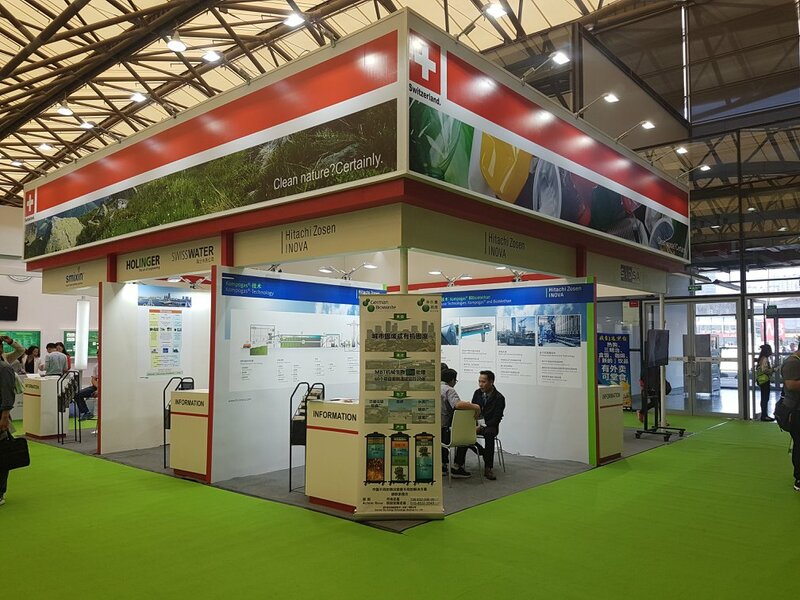 We would like to thank ELEX, Hitachi Zosen Inova AG, Holinger AG/Swiss Water, I.C.E. 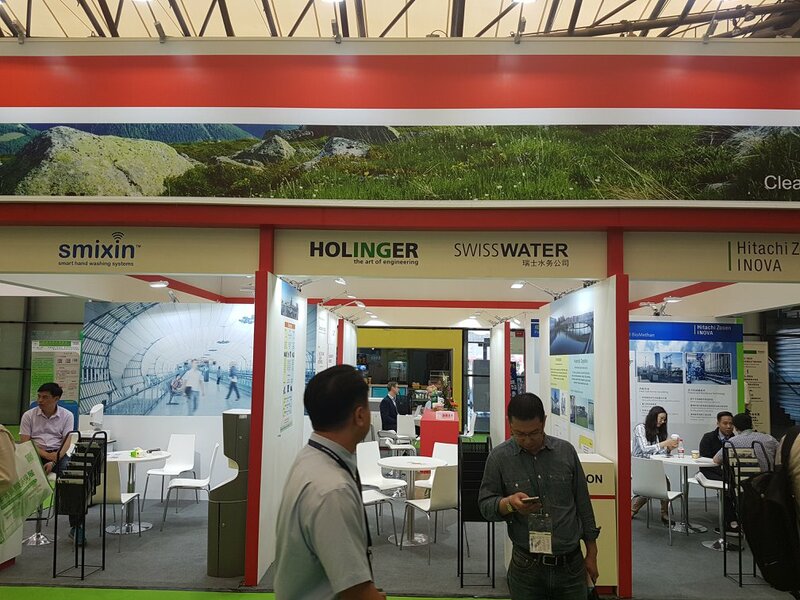 AG, SID SA and Smixin SA for being part of the Joint Swiss Booth!